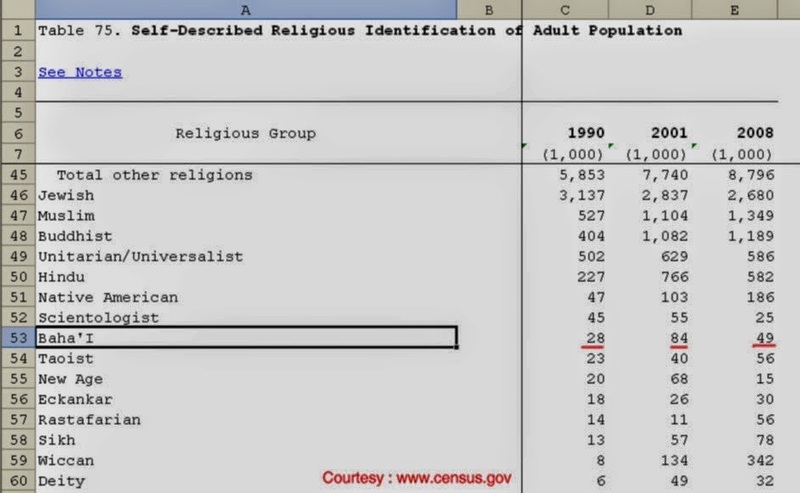 Bahai lies exposed in US census too! When it comes to “Baha’i Faith” it is very difficult to believe quoted Numbers. They have always deceived, always lied. Baha’i Faith openly defies previous exposures on false claims of their population and shamelessly declares one claim after another. Baha’is had been earlier exposed in India, Pakistan, Iran Russia, UK, US ,New Zealand. If ownership of Guinness book was in hands of Baha’is, records would be created hourly. Bahai claim that there are 17,559 Bahais in South Carolina, it is again a big lie. A map purporting to show the second-largest religion in each state appeared on the Washington Post‘s GovBeat blog early this month, and it made a surprising claim: Of all 50 states, South Carolina was the only one where the second-largest religion was Bahá’í. Today, adherents of Bahá’í in South Carolina report that the religion is concentrated in rural, largely African-American communities. While Charleston County reported just 676 Bahá’í adherents in 2010. So if United States wants to remain as world leader they should keep their eyes open to want appears on their official sites. It should be their own work thoroughly checked and rechecked by trustworthy and reliable sources. And not the claims of ‘self-reporting religious bodies’ which has the sole aim to serve their own deceptive purpose. One Response to Bahai lies exposed in US census too! Why should they (Baha’i) leadership resort to lying..If this is the true religion of God, there is no need to falsify anything. The people will flock naturally to their religion if it Gods religion.